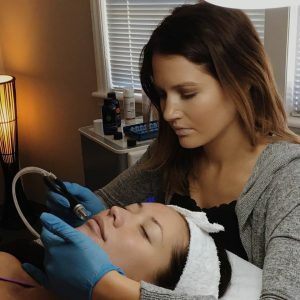 The SilkPeel Dermalinfusion is the only face and body skin-resurfacing treatment to gently yet effectively exfoliate damaged skin cells and deliver serum infusion to treat a variety of skin concerns. In a nutshell the this is the ultimate treatment for radiant and glowing skin for a special occasion or any time. The SilkPeel extracts, infuses, and exfoliates all at the same time. Specific skin conditions can be treated such as: pigmentation, aging, hydration, and acne. This high degree of customization results in skin that shows immediate and noticeable improvement in volume, hydration, tone and texture and eliminates time gaps between exfoliation and serum application with an exclusive simultaneous infusion technology. 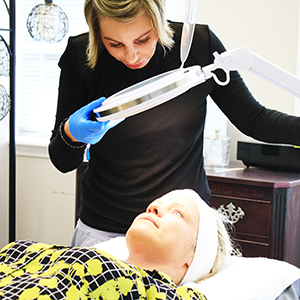 Because of the SilkPeel Dermalinfusion’s distinctive simultaneous technology, plumpness, volume, hydration, tone, and texture are added benefits.